ShuttleCloud has a particular managed migration process. When you purchase a Managed Migration package we’ll use the following steps to migrate your users from one Google Apps domain to another. This process assumes that you are currently using a domain alias that you would like to use as the primary domain. If you are not currently using your destination domain as an alias please disregard steps 3-5 below. Assumptions: switching an old primary domain (i.e. old.com) with a new domain that is currently an alias (i.e. new.com) of the old alias. 2. Client lowers TTL (time to live) to somewhere between 60-300 seconds for both old.com and new.com to allow for rapid propagation of the records. 4. Client changes MX records for new domain (new.com) to point to ShuttleCloud’s MX forwarder. [ShuttleCloud automated forwarding from the old domain to the new one will be active for two weeks. This provides sufficient time to remove the domain and add it as an alias on the new domain]. 5. Client removes the alias (new.com) from the old Google Apps domain (old.com) and sets up the new domain (new.com) as a new Google Apps domain. 7. Client sets date for users to begin using accounts on new domain. 9. Client switches MX records for new.com to point to Google MX servers at approximately 8 am on the day of switchover. 10. Employees can use the new accounts shortly after step 9 if TTL has been lowered as advised in Step 2. 11. 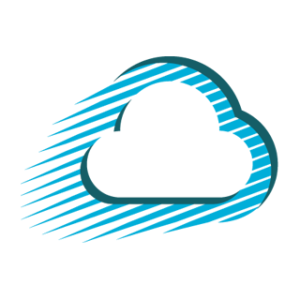 ShuttleCloud runs a delta email migration to transfer all messages that have been sent or received since the beginning of the migration (this runs very quickly). ShuttleCloud offers optional email forwarding from old.com to new.com for two weeks following the migration switchover. For continued email delivery from old.com address to new.com address beyond this date the source domain can be closed and added as an alias. Contact our sales team for a quote and for more information on a customized process tailored to your migration timeline.